Hand Painting by brush: One wheel removed at a time to sand, degrease and apply by hand/brush a hardened one stage paint. To be carried out within half a day on a mobile basis on your drive/at your location for the vehicle to sit in place for the paint to dry before being driven. Calipers that feature excessive rust, more than one piston (XL size), flaking paint etc will cost more. Non-metallic colours only with this level of service. Airbrush Premium Service: To remove all wheels and place on axle stands. Calipers to be sanded/keyed by machine to remove surface corrosion and key for primer. Areas that are not to be painted masked off with foil tape and masking paper. Calipers primed with zinc rich corrosion inhibitor primer. Hardened colour coat of customer's request applied via airbrush before a final layer of hardened clear coat. Must be brought indoors and kept overnight unless the customer has suitable indoor facility. A wide range of colours and effects available. 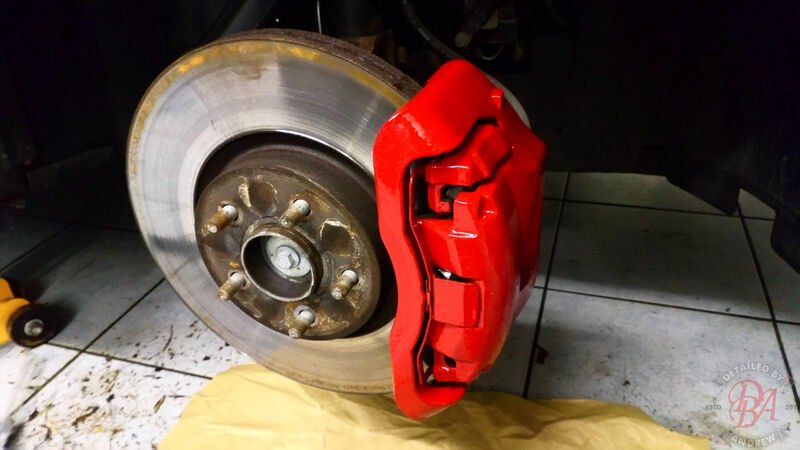 Please note that both the hand brush paint and airbrush premium services do not entail any dismantling of the calipers or brakes. This is refinishing - not refurbishing. 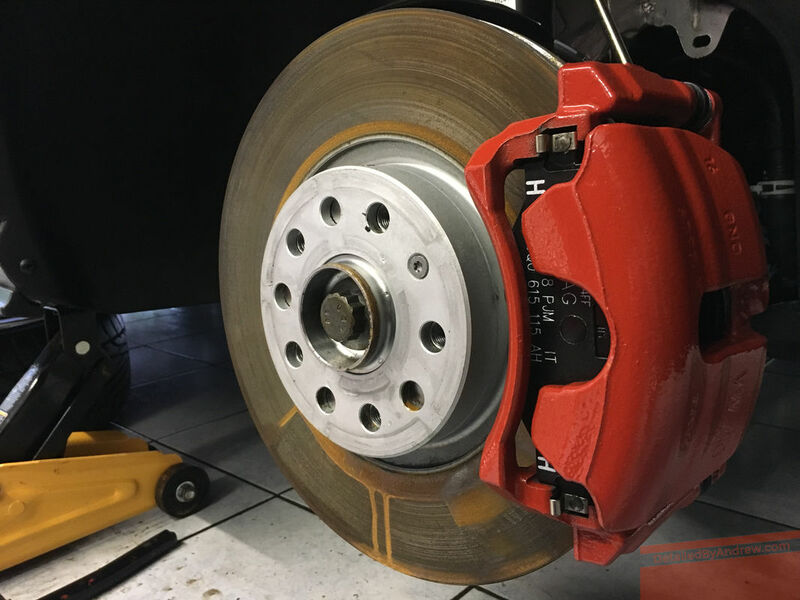 This is an "in-situ" service to save the customer time and money against going to a caliper refurbishment centre whereby the calipers would otherwise be removed from the car, fully stripped down and sandblasted before paint; usually costing hundreds of pounds more. 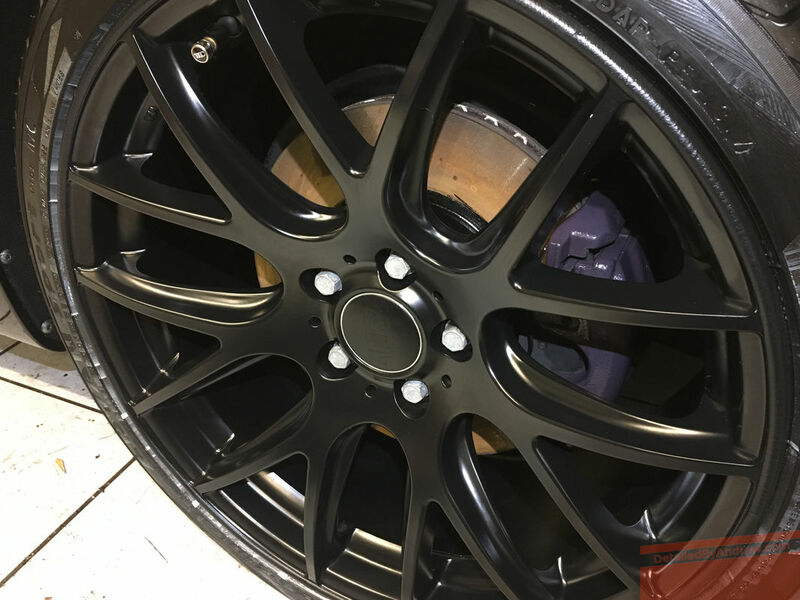 This particular level of service offered by Detailed By Andrew is to offer a cosmetic improvement suitably priced well below an otherwise full caliper refurbishment elsewhere whilst minimising vehicle downtime. Painting the disc edges and hub centres is not included in the price but can be done at request. However it is better advised to replace corroded discs with new ones that are coated by the manufacturer. If after reading through the full service description and package upgrades you would like to discuss your requirements you can call 07804 604532, email hello@detailedbyandrew.com or fill out the contact form below. To help build a picture of your vehicle's current condition you can also attach a picture to the contact form. A response will be sent to your given email address - please check your junk mail settings. If you would like to proceed to make a booking request you can select a date and time for any given service that Detailed By Andrew provides. Your request shall be responded to via the contact details given to confirm or amend the booking. Please make sure that you have read the full service description and any possible package upgrades before using the booking request form.